Years ago now (in the early summer of 2011, as I recall), I took my Dad to the Ottawa-Carleton Land Registry Office (at the Court House on Elgin St., Ottawa) to do a bit of family history research. Our mission? To find something relating to our ancestor Denis Killeen (my dad’s 2x great-grandfather, and therefore my third), who had received a 100-acre lot of land in the Township of March, Carleton County, Ontario, as a military pension from the Crown (because he had served in the 97th Regiment of Foot). And find something we did. 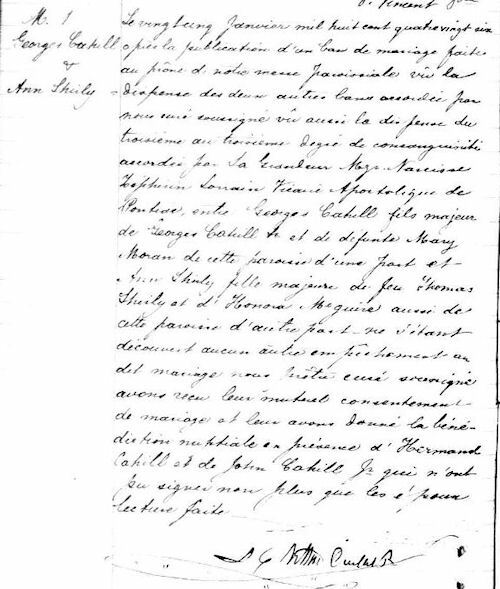 On 27 July 2011, I posted my transcription of a memorial of the will of Denis Killeen (the will dated 24 May 1850; the memorial of this will dated 9 February 1854, but registered 10 March 1854). And in truth, it wasn’t all that difficult to find, once we had got ourselves to that room of the court house where the land record microfilms can be viewed. Except that: first we had to drive downtown; and then find and pay for parking; and then figure out where in the building we could find and view the relevant microfilms. And then I had to order (and then view) a microfilm of the index of the March township land records, in order to figure out which other microfilm to order and then view. And my father was not in good health at the time, so just getting him there was a bit tricky…and then the microfilm of the records…but first the microfilmed index of the records…Well, it took the better part of an afternoon. Totally worth it, though, because my Dad was really taken by Denis Killeen’s reference to “his beloved wife Mary Killeen.” A good Catholic husband and father, is how my dad read it, and this was the sort of small but telling detail that brings family history life. About an hour ago, I found that same memorial of a will online, at FamilySearch. Took me all of ten minutes to search the index, and then locate the relevant memorial. The LDS is making good on its promise to digitize all of its available microfilmed records. 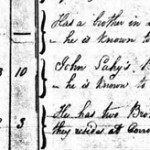 And the Land records of the townships of Carleton County, 1819-1977 are now available online. Next post What happened to the sons of Denis Galligan and Catherine Doolan?